The Prom was on Wednesday 20th July, relocated at David Lloyd following a suggestion from Mum, Mrs Houlahan, thus ensuring the children didn't miss out on a rite of passage for 50 Year 6 pupils. 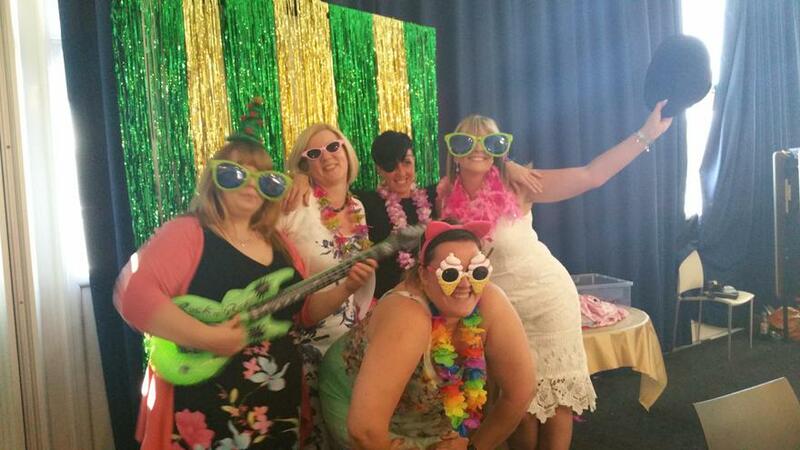 The photo of staff is in the Photo Booth, set up as part of the event, as was a buffet, dancing and lots of laughter. During the day, staff were busy putting 461 pupils' belongings including class photos, certificates and we even managed to provide cinema vouchers to compensate for the cancelled trip for 190 pupils who had over 96.5% attendance. This was made possible by staff access to site being thoroughly risk assessed and our Facilities staff appropriately dressed, delivering all personal items from cloaks area which have glass panels above across the site. Collection of items was on Thursday, via safe access to key areas and a range of time slots, the last being class tables and lost property from the school gate to Main Entrance on Friday! Photos of the entire week and ongoing work behind the scenes such as reviewing the Day Care and Play Scheme provision, including visits for parents to see what we had set up and review plans were reported to parents and with photos on Twitter. Friday morning the final day of term, began with a return trip to David Lloyd for our leavers' Assembly. The room was packed with parents and siblings who came to give the Year 6 pupils the best send off we could. The pupils wore their Howe Dell uniforms with pride for the last time, before returning for a final playtime on the School site, where other families were welcome to join us. As a final rite of passage, I asked staff to create a human arch under which the pupils journeyed from Dragon Road to the school field, where as in previous years, they wrote on each other's shirts before leaving for their secondary school adventure. Parents' feedback has been hugely positive: so many cards and letters thanking us for keeping their children safe in a scenario which could not have been predicted. It was only on Friday evening that the enormity of the support for us became clear, as I sat and read all the responses from parents. It was humbling to read eloquent prose and simple labels to flowers written on behalf of a child saying, 'Thank you for keeping me safe.' It was an incredible team effort from an incredible group of people who make up the Howe Dell team.